Dave Danis, born 1965 in Hancock, was manager for Hancock hockey while in high school, worked as local sportscaster for local radio stations WCCY/WHUH and WMPL/WZRK, went on to become TV play-by-play announcer for NMU for Bresnan Communications before moving on to the ECHL with Birmingham and South Carolina, then served as Assistant Director of Hockey Operations with Monroe, LA and Alexandria, LA of the WPHL. He also worked with FOX Sports Southwest and Fox Midwest, along with PASS. He scouts college and juniors for various ECHL and CHL hockey teams. He currently serves as radio play by play broadcaster for Northern Michigan University and Sports Director for Northern Star Broadcasting in Marquette. 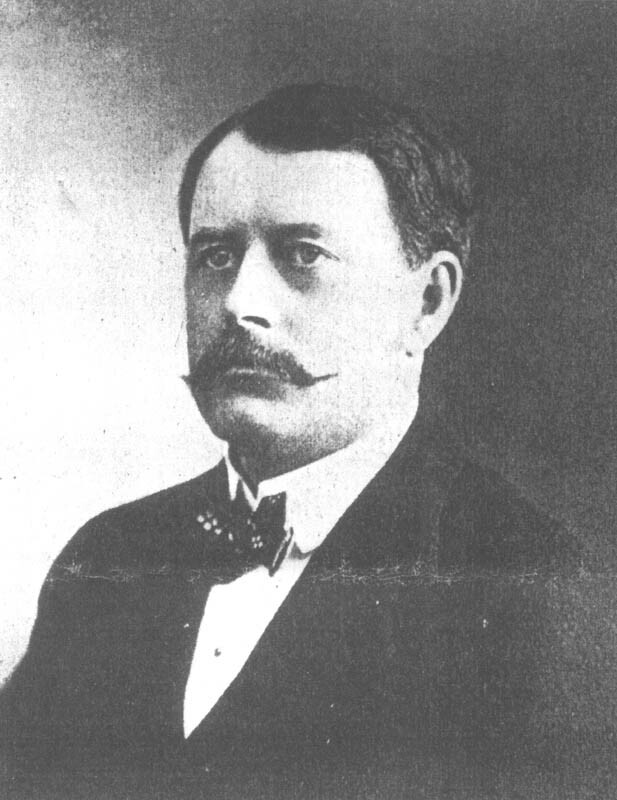 James R. Dee, (1856-1946) born in Cliff Mine, in nearby Keweenaw County, was a local business man who organized the World's First Professional Hockey League here in the Copper Country. James Dee is recognized as the father of professional hockey in the United States. The first professional hockey league in the world, featured teams from Calumet, Sault Ste. Marie Canada, Sault Ste. Marie Michigan, Pittsburg and our Portage Lake team. "His teams won international championships and laid the foundation for the formation of professional hockey leagues which are thriving in America today." according to the local newspaper on the occasion of his 90th birthday. As a youth, Dee started working in this area as a telegraph operator, then after attending the 1876 Centennial in Philadelphia where he saw a demo on the telephone, he returned home to "sell" this new invention to businesses (these businesses could not, without great persuasion, see a use for this new "toy"!) He then went on to organize the Houghton County Electric Light Company, bringing the first electric lights in the county. He was one of the organizers of the Onigaming Yacht Club in 1894, the Portage Lake Golf Course in 1903, installed the first bowling alleys in the the county, was one of the organizers of the Copper Country Agricultural Association, the Douglas Hotel Company, lead the establishment of the motion picture theater, the Lode in Houghton, and he was one of the organizers of the first professional baseball league in the Copper Country as well as the world's first professional hockey league. As president of the James R. Dee Real Estate company, he was responsible for the construction for such local landmarks as Sheldon-Dee building, the Gazette building, the Dee Hotel, the Board of Trade (now Library bar and grill) and the telegraph building, and established at his own expense, the Sun-O-Shine public beach. His interest in winter sports and hockey lead him to promote and organize a company to build the Amphidrome in 1902. It was the largest enclosed ice rink in the country at the time. When the Amphidrome was destroyed by fire in 1927, Dee took the lead in organizing the financing of construction of the New Amphidrome before the beginning of the next hockey season. This ice rink was purchased by the College of Mining and Technology (MTU/Michigan Tech) in 1943; at which time, they dedicated the rink the James R. Dee Stadium. Delbert DeHate was born 19-- in --, played hockey for the Dollar Bay Midgets travel team 1961-63. He lived in Stambaugh, Mi (Iron River) at the time but his father drove Bert, his brother Phil, and 2 others players (D. Mylcrest & D. Pettcoff) here to try out and play for this team. They traveled the 2 hours from home for practices and games for about two years. Bert went on to play 1966-70 for University of Wisconsin where he lettered all 4 years. 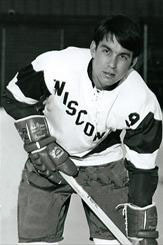 In 1967-68, he was the first Badger to win a National scoring title with 47 goals and 30 assists, which ranks 2nd all-time at UW! That season he also holds UW records with 5 goals in a game and 8 points in a game, and the single season record of 7 hat tricks, a record that still stands today. In 1968-69, he was the team co-captain. He had a career record of 15 hat tricks at UW; his career goals rink second all-time with 108 in 95 games. He was their 1960s decade most prolific scorer with 108 goals and 80 assists for 188 points. Burt played senior hockey in Wisconsin and in 2007, he was inducted into the University of Wisconsin Hockey Hall of Fame. John Denton, (son of Houghton's Fred W. Denton) born 19-- of Houghton, played hockey for the University of Michigan in the 1926-27 season; he was Michigan's football manager the previous year. John DePuydt born 1949 in Detroit, but long time resident of Houghton, has been in the USA Hockey Officiating Program for over 40 years, both during and after his own hockey playing days in High School and as a Freshman at Michigan Tech. He was a game official for the Michigan High School Athletic Association from 1969-99, the former United States Hockey League from 1972-75, and the Western Collegiate Hockey Association from 1972-91. A highlight of his career as a referee came in 1971, when DePuydt was selected to officiate a game between the U.S. Olympic Team and Michigan Tech. He has been a local supervisor of officials for USA Hockey in Michigan: He has served as the Referee-in-Chief for the Copper Country Junior Hockey Association over the past 30 years, while recruiting, training and mentoring youth hockey officials. He also was the Upper Peninsula Referee-in-Chief for seven years, and co-founded the Copper Country Hockey Officials Association. John is currently an Observer of Officials for the WCHA and remains an active part of the Upper Peninsula seminar staff. He recently was selected to receive the "Chet Stewart Award" to recognize an individual who has made outstanding contributions to the USA Hockey Officiating Education Program during many years of service to the hockey community as an official and volunteer. John Denton, born 19-- in -- "a Copper Country boy, son of Mr. and Mrs. Fred W. Denton..." played hockey for the University of Michigan 1926-27.
leading scorer of her team.